Cath joined the team in Febuary 2018 after working in mixed animal practice for the past twenty years. She graduated from the University of Cambridge (Wolfdon College) in 1996 after gaining a first at Durham University in Zoology. 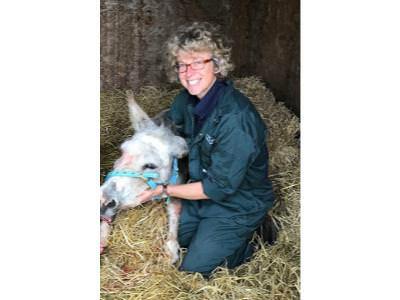 She has a particular passion for large animal work and has recently completed an Advanced Certificate in Equine Practice (AVPCert (EP)). Cath has been a resident of the Louth area since 2005 and lives with husband Richard and children Ralph and Mary. When not at work, she competes at BE novice and BD medium level on her own horses aswel as captaining at Louth ladies hockey and crickets clubs and is assistant scout leader for Louth 2nd scout group.